The Skull Helmet is the counter part to the Angel Helmet. Both were made for the same independent film in 2005. The Skull represents death and angel life. This headpiece was part an entire set of armor. 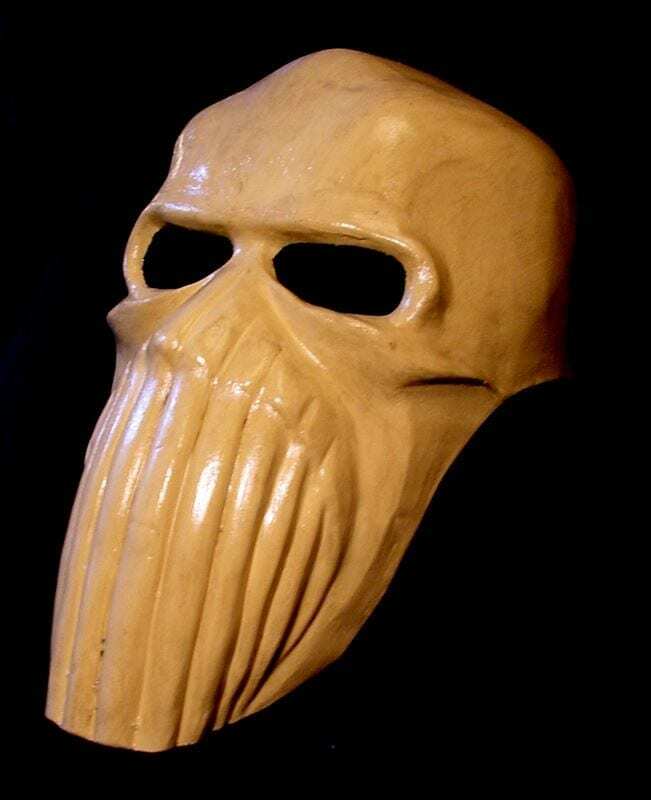 Custom masks such as this one are requested by theatres, producers, director, filmmakers and individual artists worldwide. Successful projects have been undertaken more than 200 times in the past 15 years. Masks can be made out of many different materials in today’s world. They are made out of paper, thermoplastic, bukram, leather, fabric and in this case neoprene. Neoprene masks are lightweight, mostly rigid and extremely durable. In this they are desirable for situations in which they will get a lot of use or a lot of abuse.